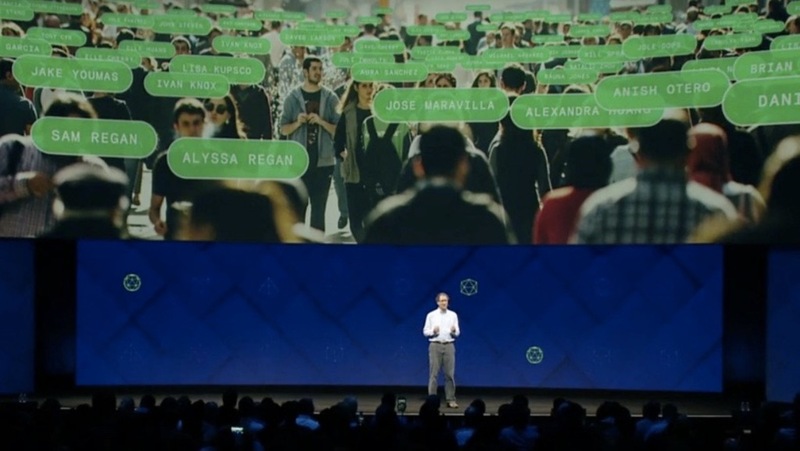 If one thing was clear during the second-day keynote at Facebook‘s F8 developers conference in San Jose, California, today, it’s that the company isn’t afraid of the future. During the 90-minute keynote, executives talked about advances in artificial intelligence, brain-computer interaction, and connectivity that are years away. It also talked about vision—literally. As in see-through augmented reality glasses that could one day transform the way we live our lives, collect vital information on a daily basis, and interact with the people around us. During his time on stage, Oculus chief scientist Michael Abrash spelled out how he thinks such glasses could work. For one thing, they’ll make us smarter and more capable, and it’ll be socially acceptable to wear them—if people can’t clearly tell we’re wearing them. They could help us see in low-light situations, Abrash said, they can enhance our memory and cognition—feeding us vital information during meetings, or even reminding us of someone’s name in a pinch. Or they could be used to collaborate on work projects with people in other places. This isn’t happening any time soon, Abrash said, but it’s a vision Facebook is committed to realizing, and he said he thinks it’s possible we’ll be wearing something along these lines within five years.